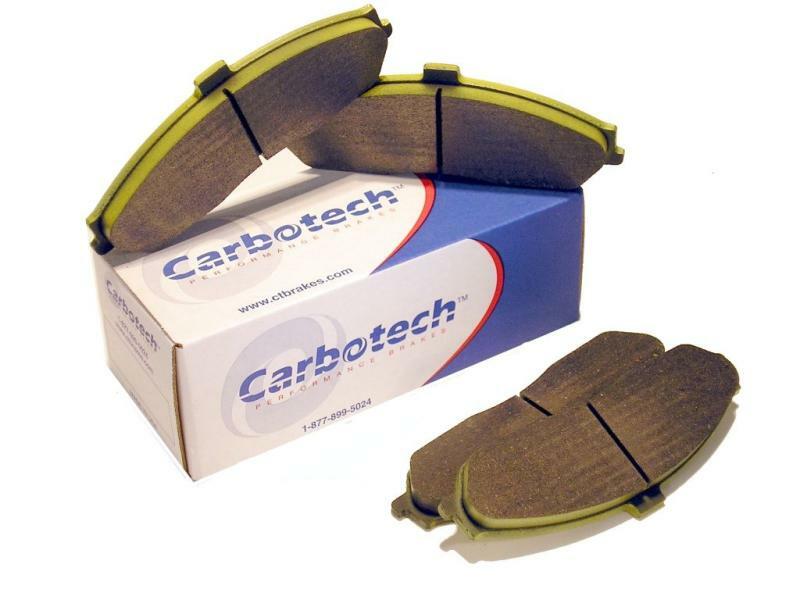 Carbotech Bobcat 1521 Brake Pads - Lesher Motorsports, Inc. The Carbotech Bobcat 1521 is our high performance street compound that is our most successful compound. The Bobcat compound is known for its awesome release and modulation, along with unmatched rotor friendliness. Like our AX & XP line of compounds, Bobcat 1521 is a Ceramic based friction material offering minimal rotor damage and non corrosive dust. Bobcat 1521 offers outstanding performance, even when cold, low dusting and low noise with an excellent initial bite. This compound’s virtually perfect linear torque production provides incredible braking force without ABS intervention. Bobcat 1521 operating range starts out at ambient and goes up to 900°F. Bobcat 1521 is suitable for ALL street cars, perfect for your tow vehicle, police cruiser, and has won multiple SCCA Solo 2 and Prosolo National Championships. The Bobcat 1521 compound has been found to last two-three times longer than OE pads you can purchase at a dealership or national retailer. Bobcat 1521 compound has also been found to extend the life of your rotors 2-3 times. That’s one of the beauties of Carbotech Ceramic brake compounds. Bobcat 1521 is NOT recommended for any track use. For Drum Applications turn to the Carbotech 912 Kelated Metallic. An advance organic-metallic compound specially formulated for drum shoe applications in lighter weight race cars and/or high performance street vehicles. High friction coefficient of 0.46 to 0.48, providing excellent braking without any risk of lock-up. Very good brake modulation throughout the entire brake pedal travel range, with excellent wear characteristics, providing an outstanding value. With a price-point significantly below other compounds offering similar performance, 912 is an excellent choice for the budget-minded racer or high-performance driver. Optimal recommended operating temperature range is from ambient to 650°F.